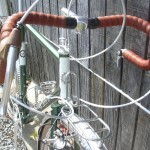 You are currently browsing the Bullwhip blog archives for June, 2011. 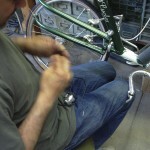 Sometimes, we assemble the bike ourselves. 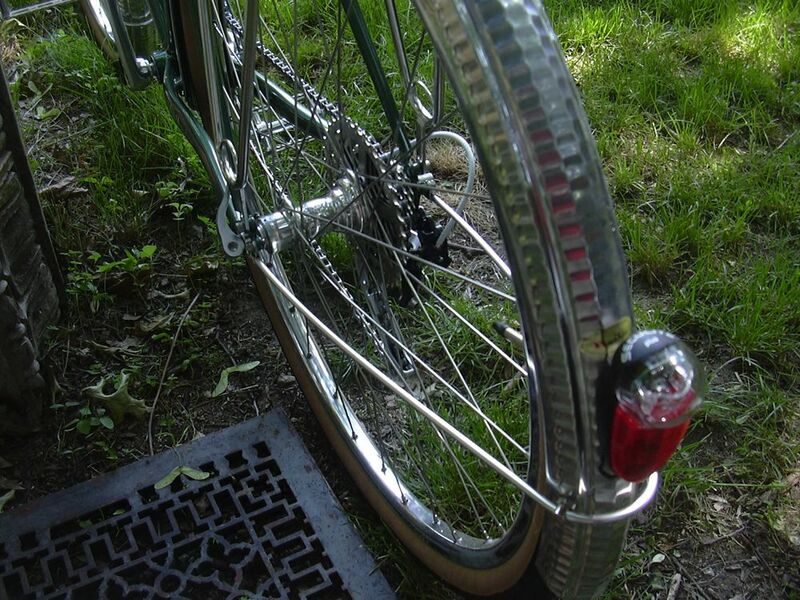 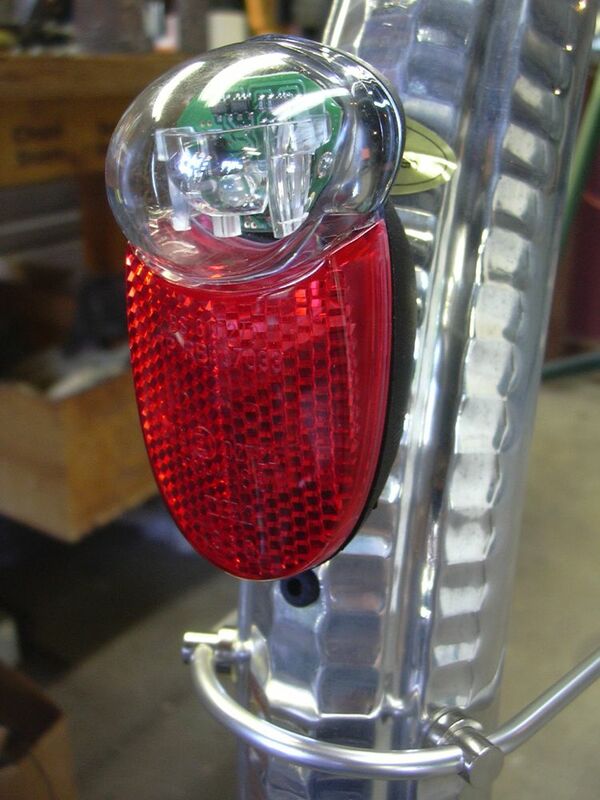 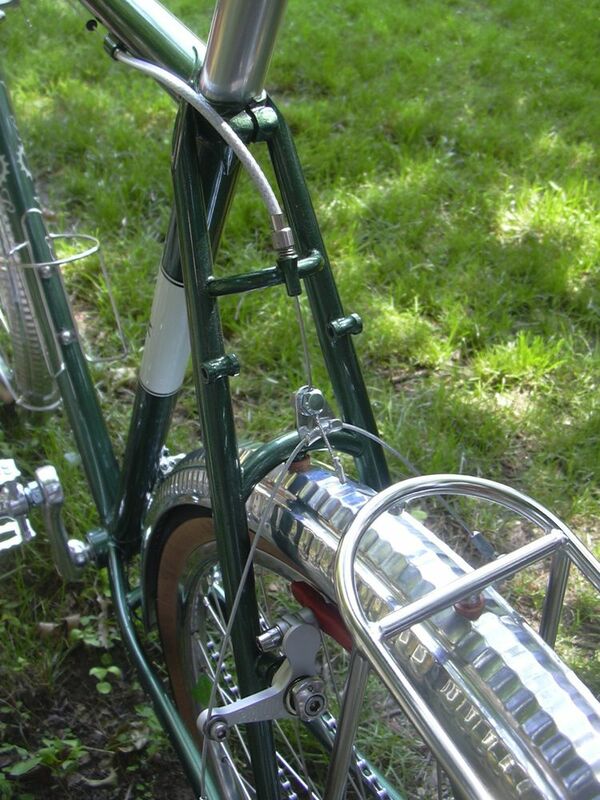 And rarely, we have a project like this – custom wheel builds, full fenders and racks, generator hub, internally wired lighting. 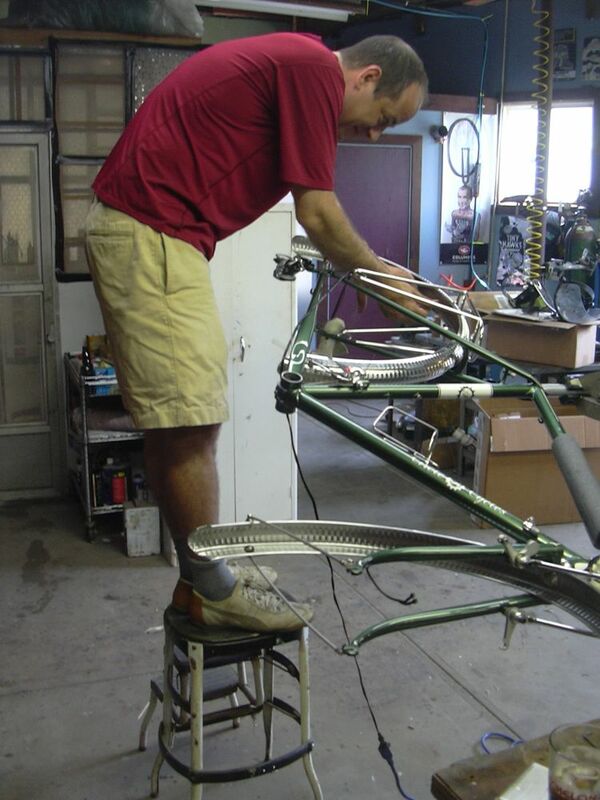 We often say that installing Honjo fenders requires all the tools in our shop – and usually it’s true. 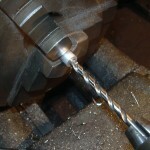 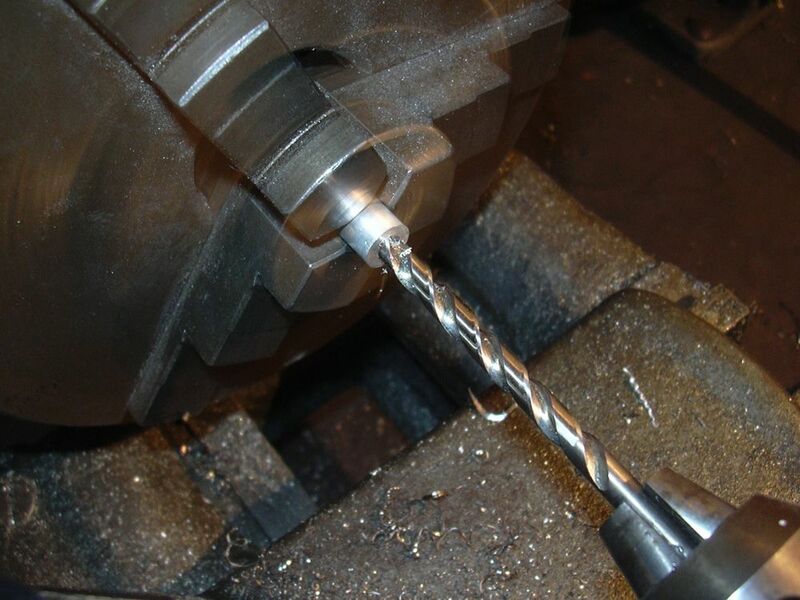 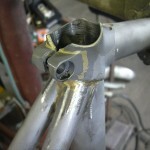 Lathe required. 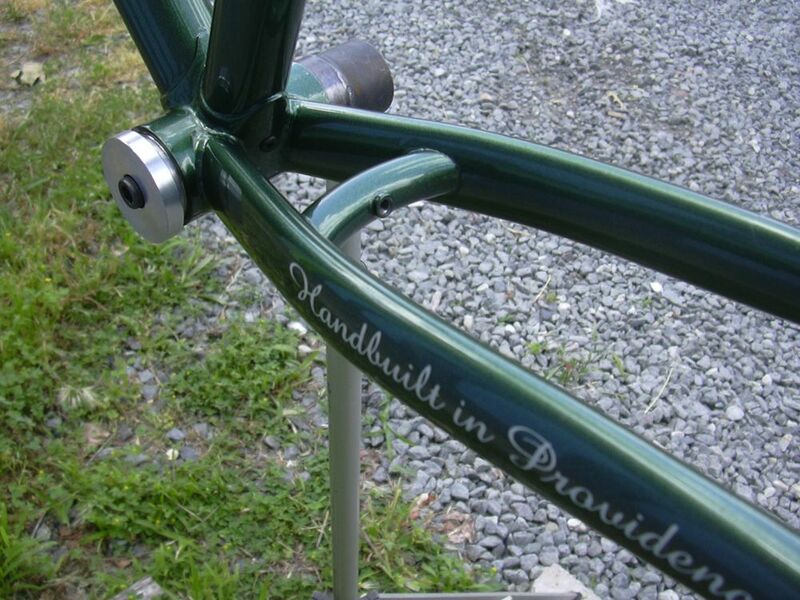 But more on that in a sec. 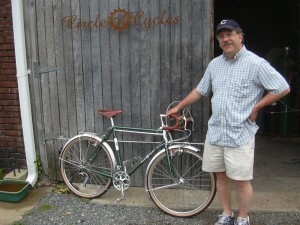 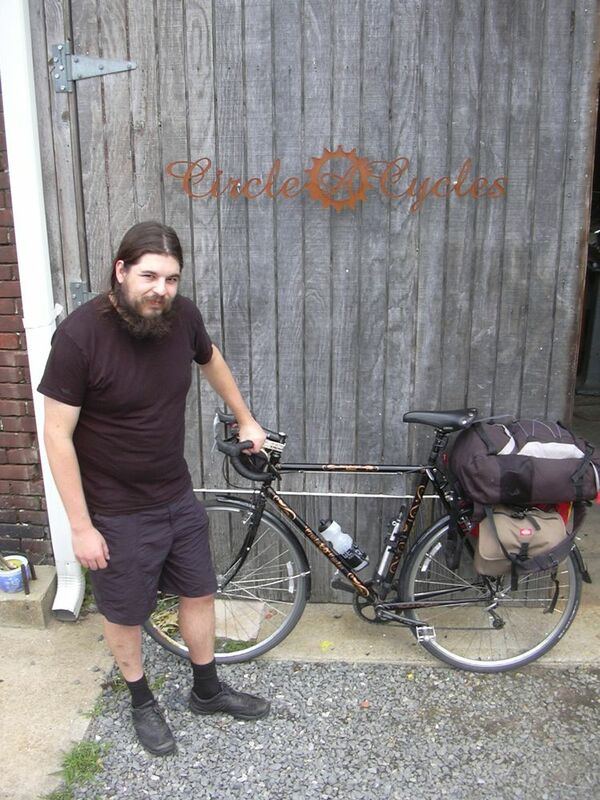 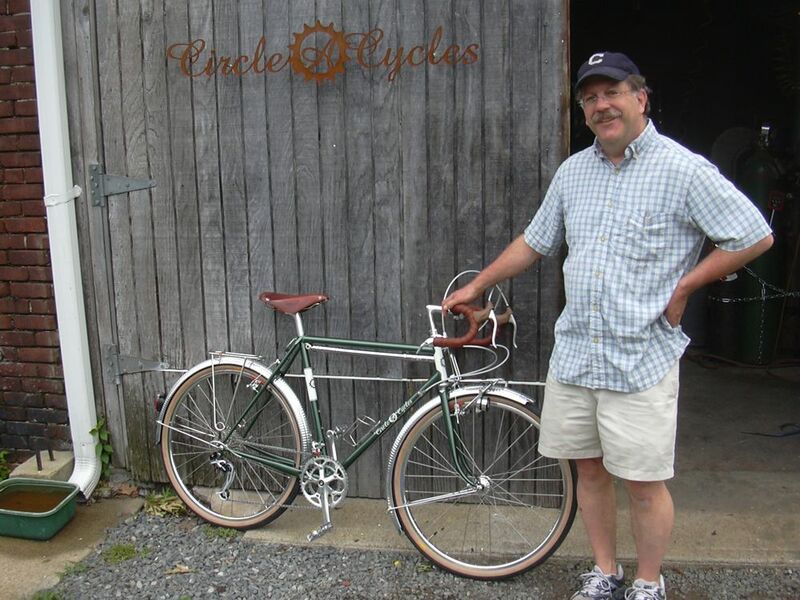 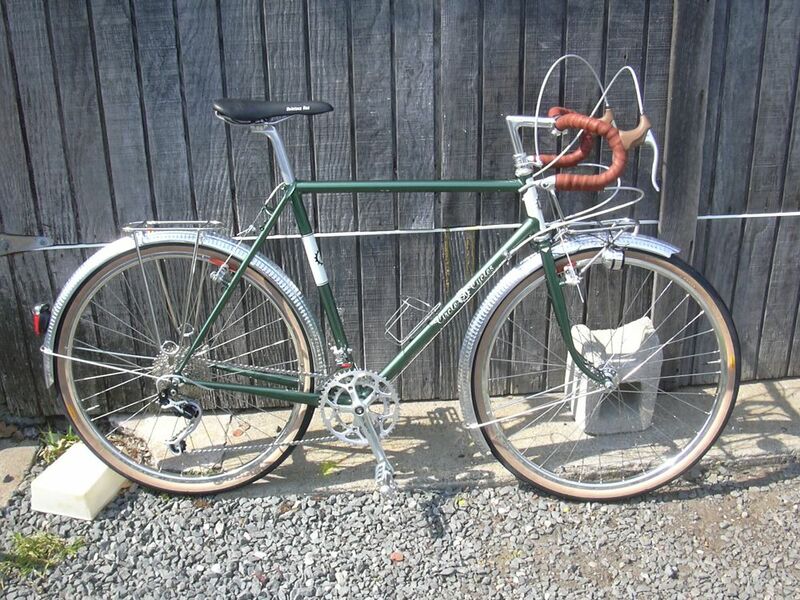 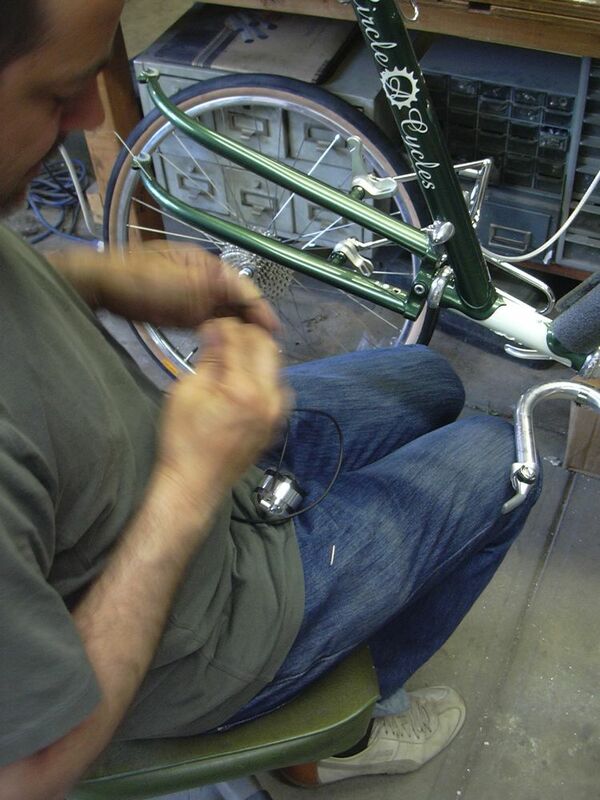 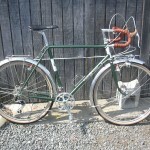 Here is Tom and his completed 650B Randonneur. 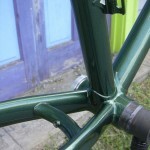 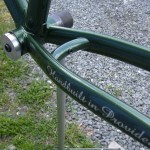 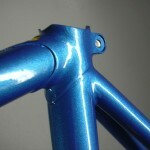 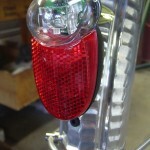 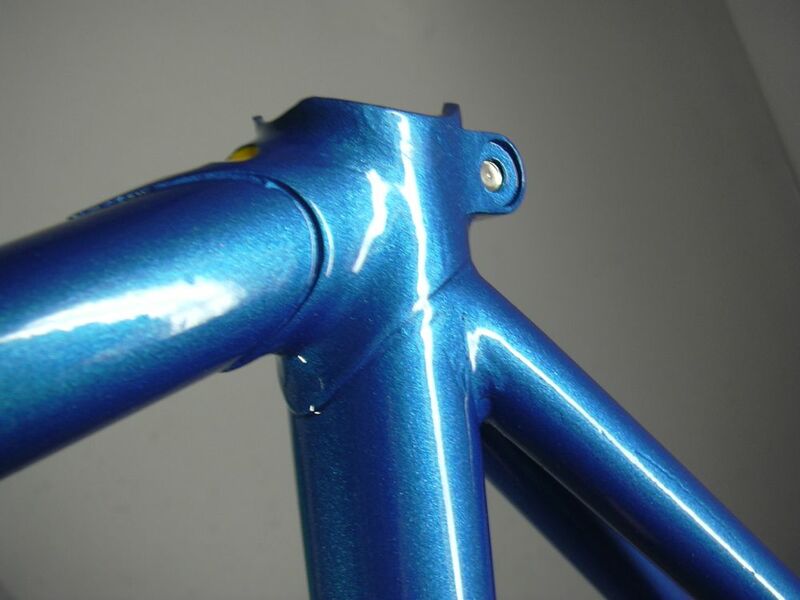 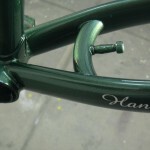 And here are some pics before assembly so you can see the details of the frame. 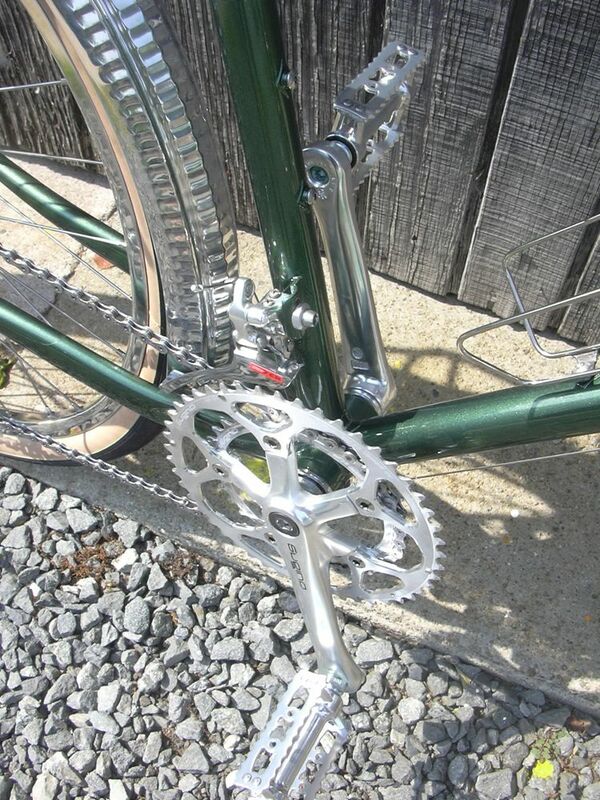 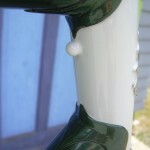 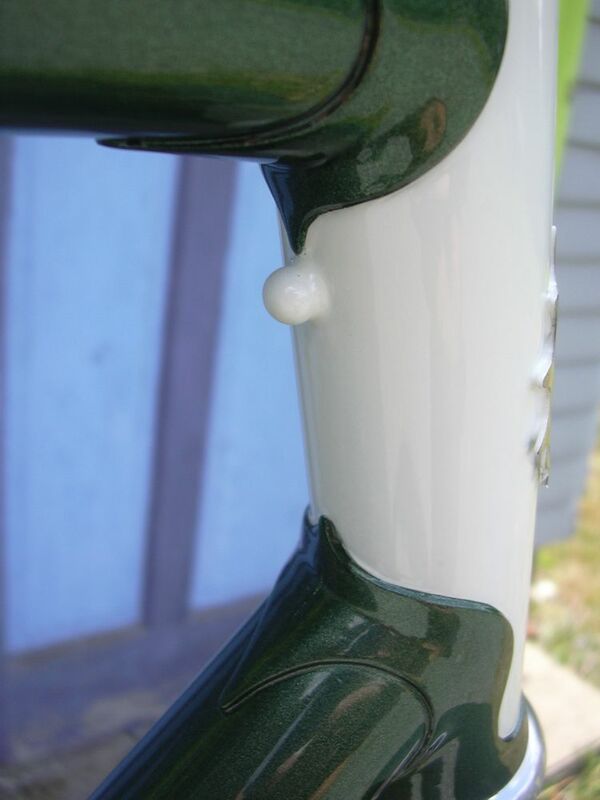 Because of the 42c Grand Bois Hetre tires, I used s-bend chainstays for clearance, dimpled for the 34/48 chainrings. 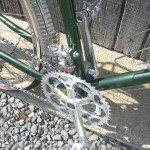 With his 12-36 9 speed cassette, Tom has some crazy climbing potential. 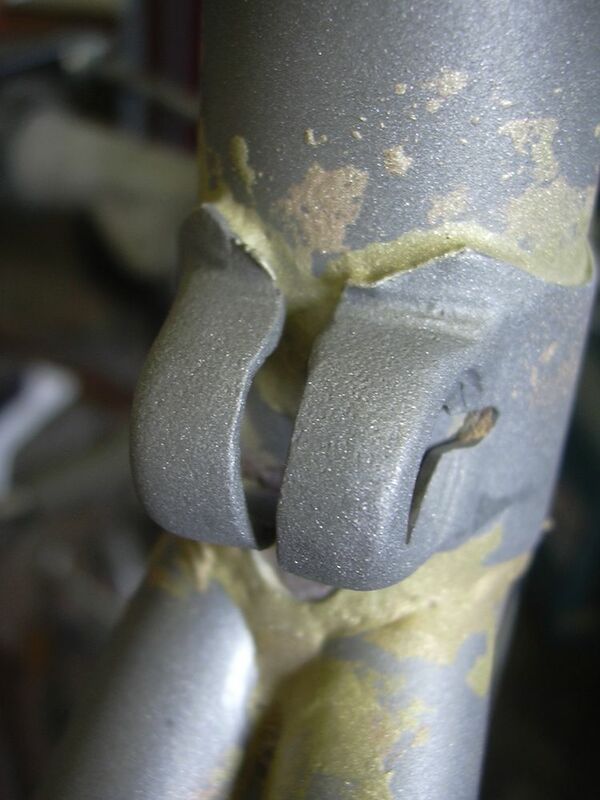 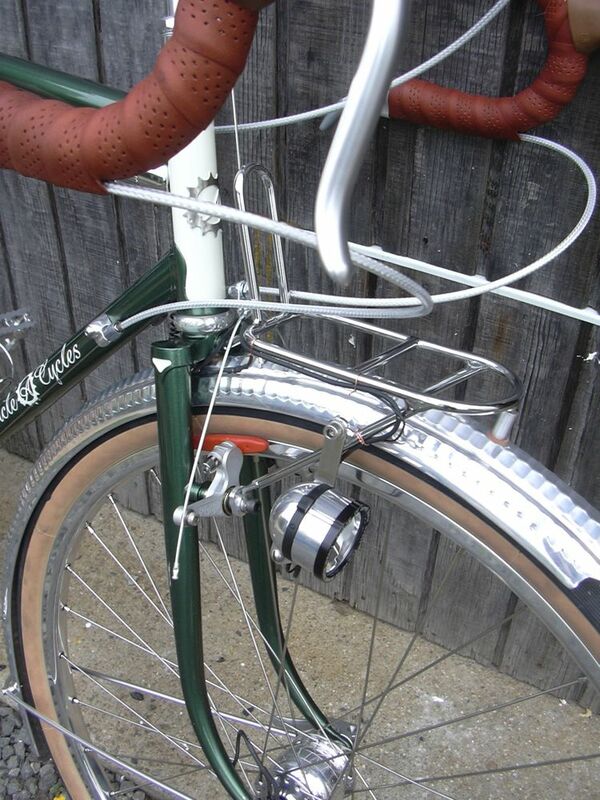 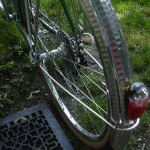 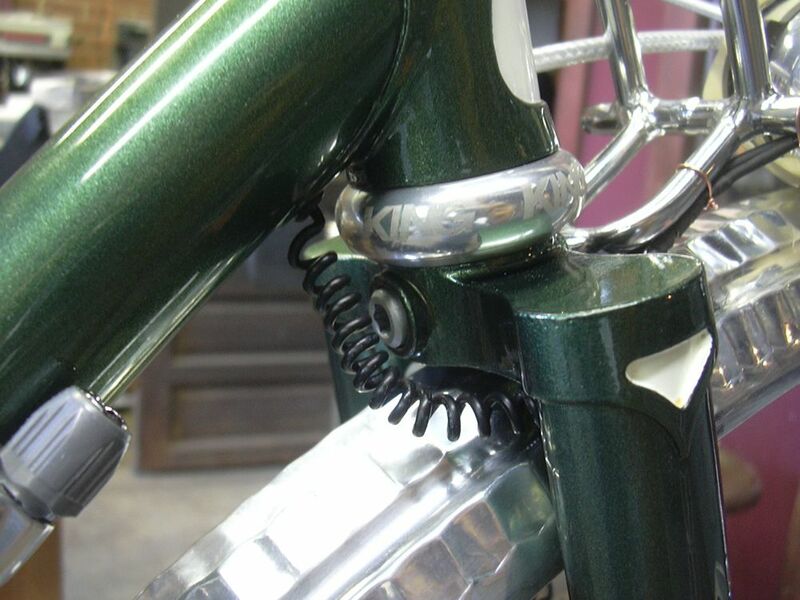 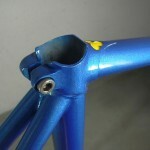 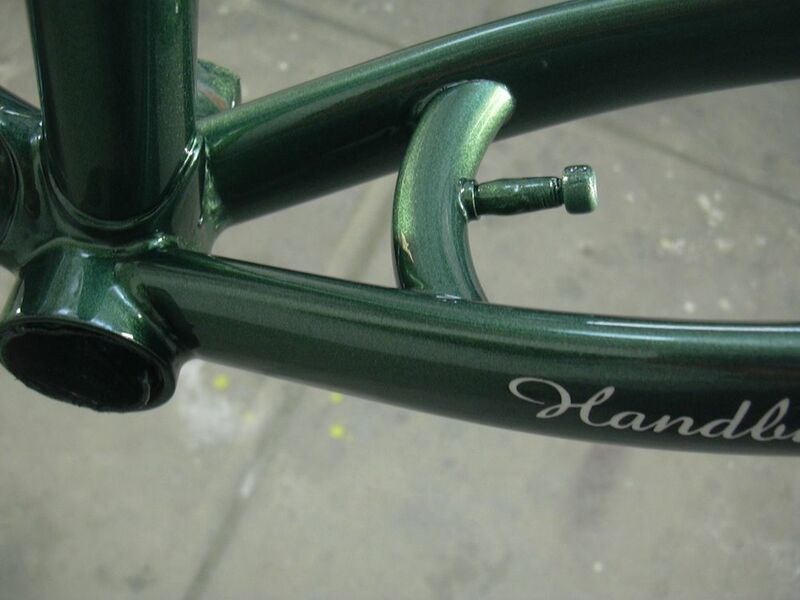 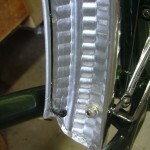 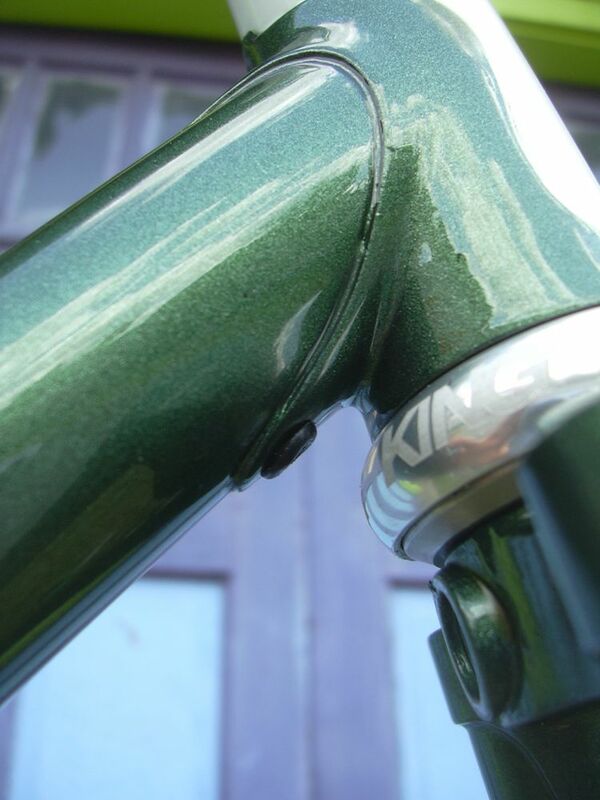 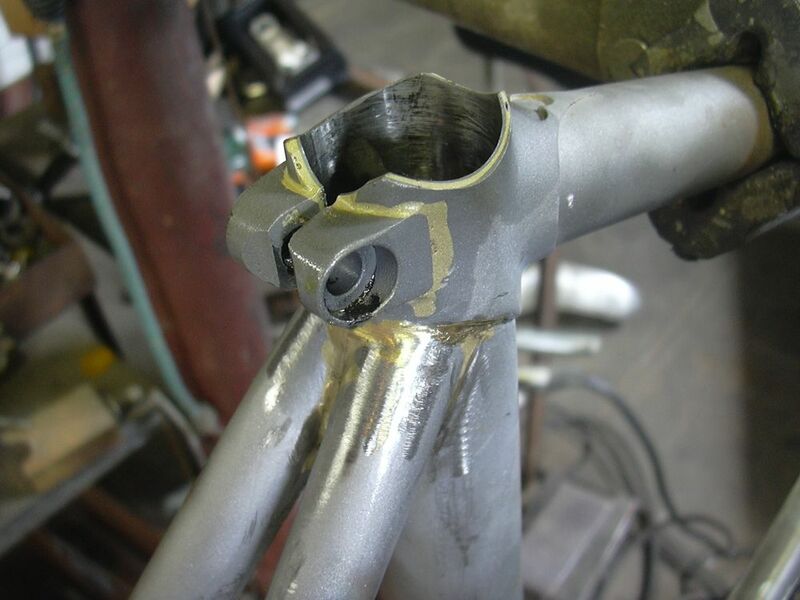 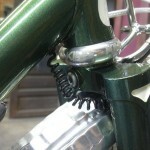 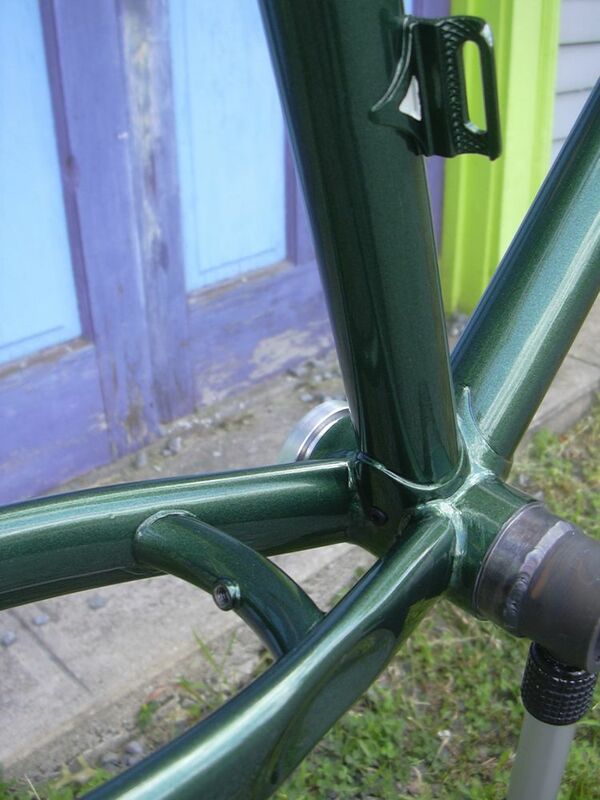 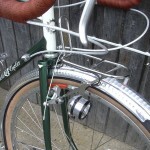 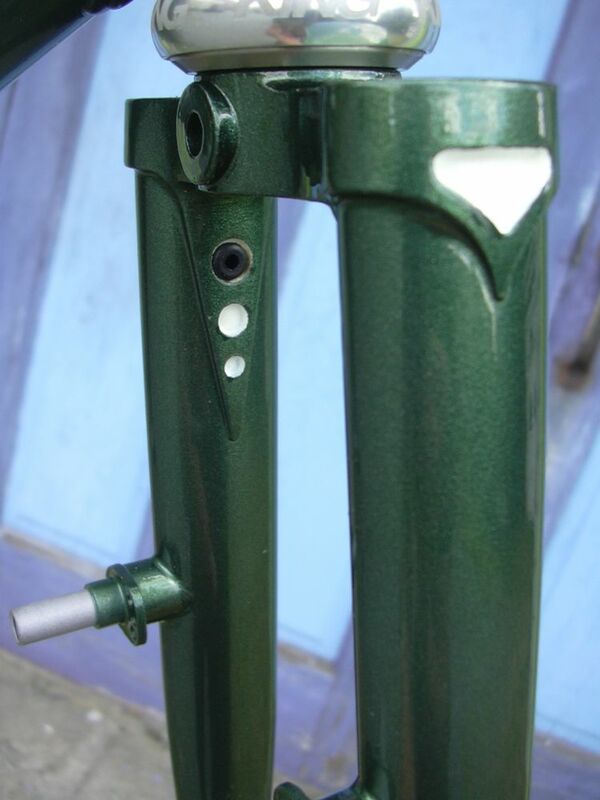 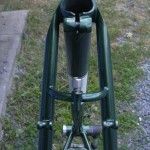 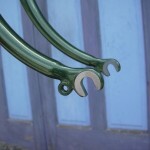 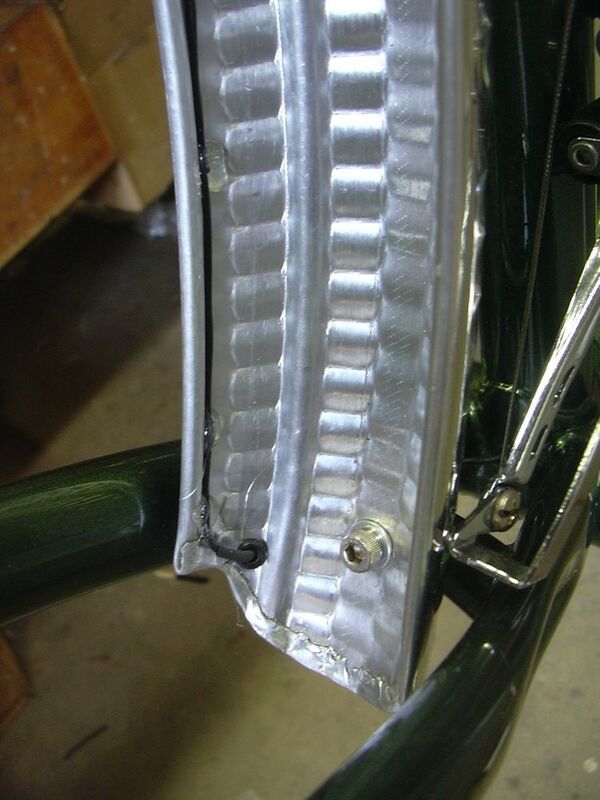 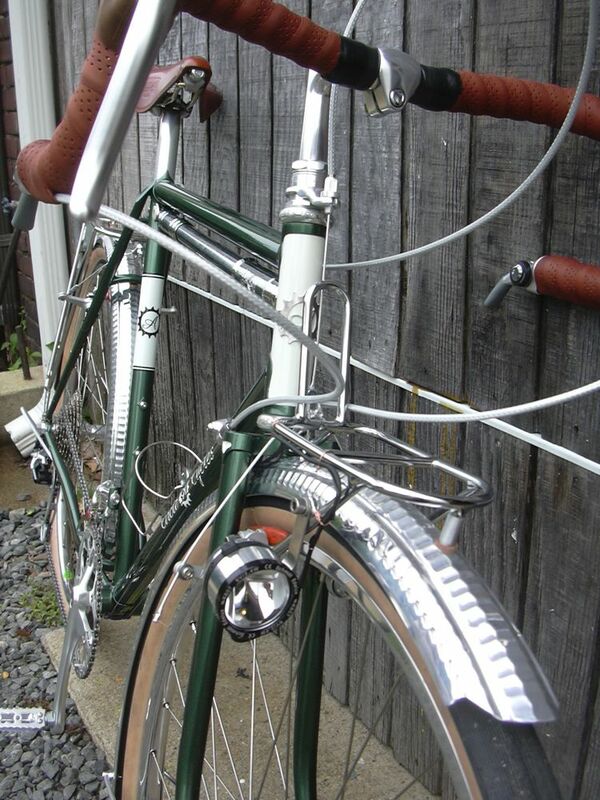 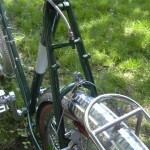 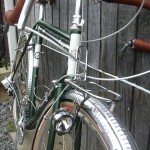 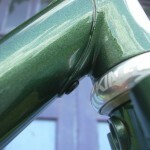 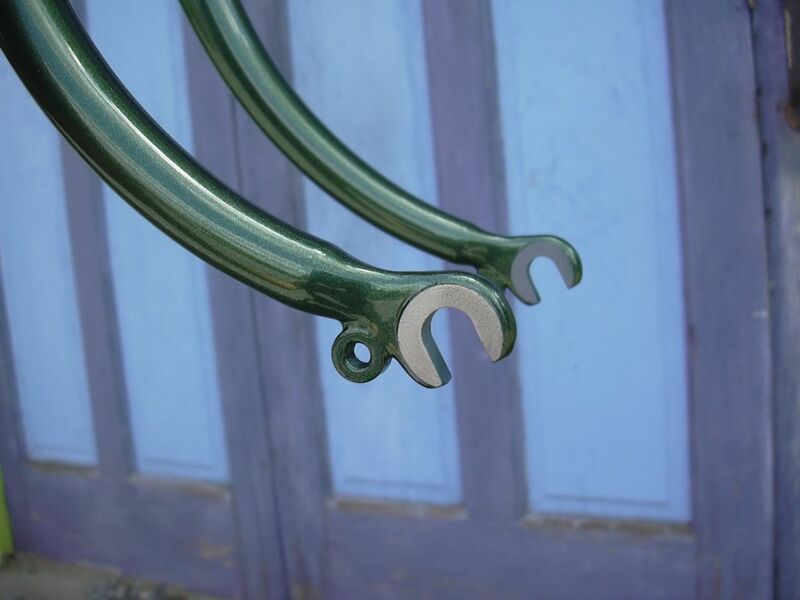 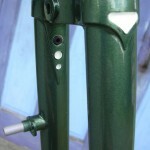 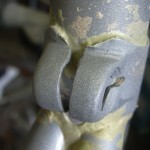 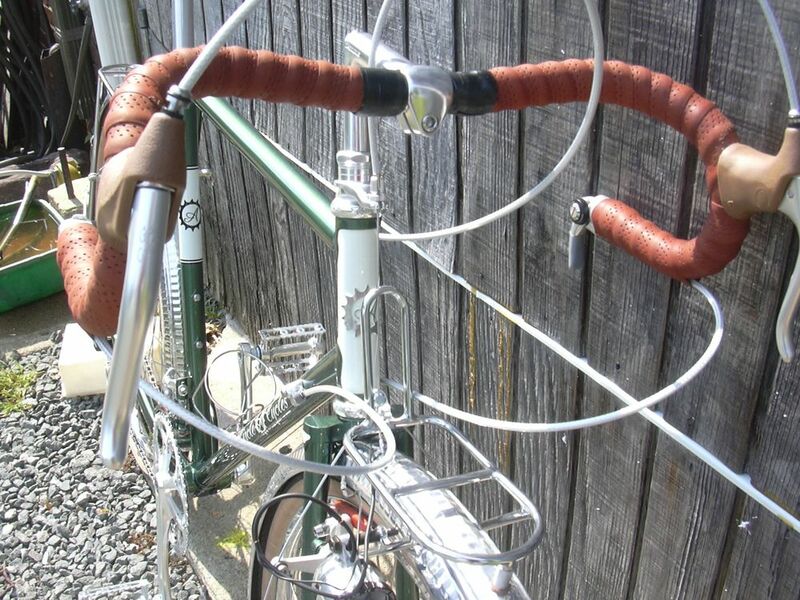 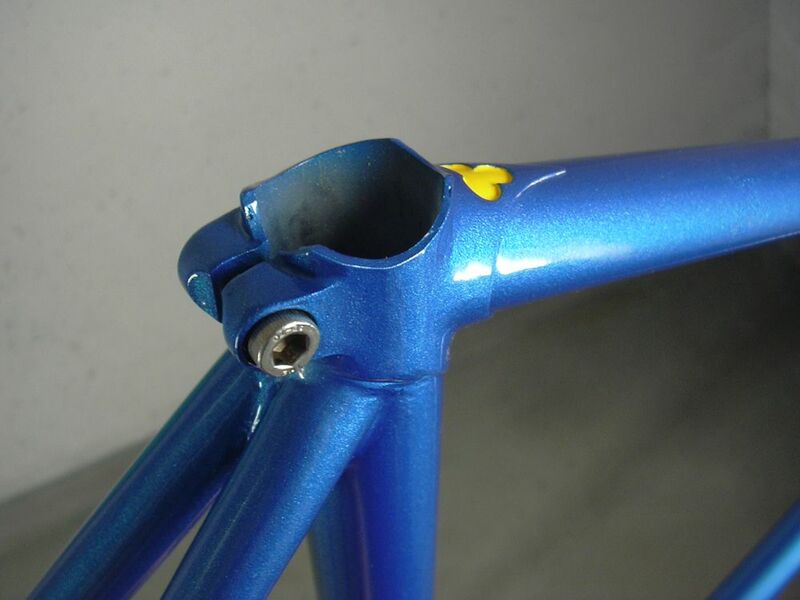 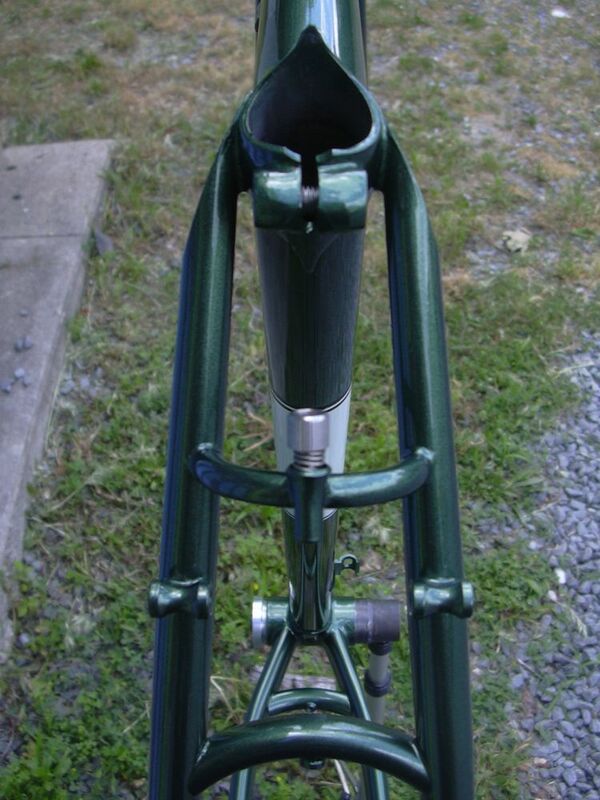 Also note the grommets where the wiring enters and exits the frame; there are two on the fork, one on the underside of the down tube, and one at the rear of the bottom bracket. 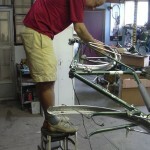 I’ll link to his blog tomorrow. 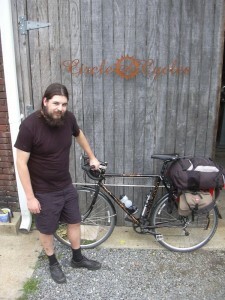 Next: Mike, Laura, another Mike!